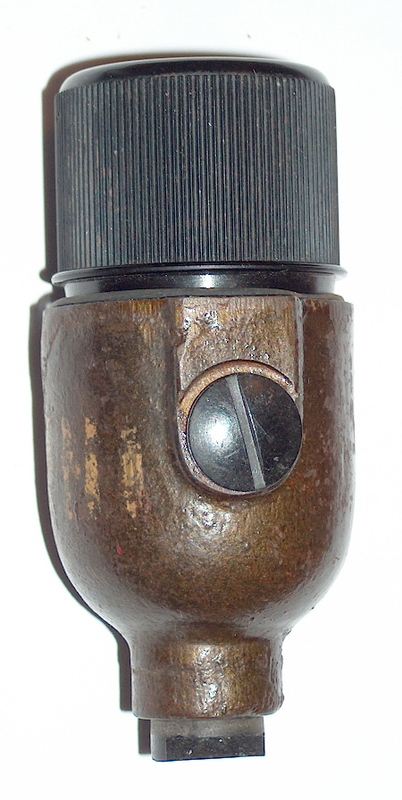 The body of this grenade was made of cast iron. 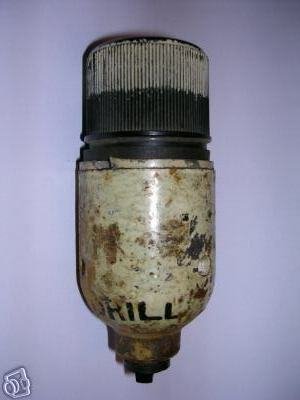 It had a wide top which was closed with a threaded disc which held a threaded cavity to fit the No.247 impact fuze. The base was provided with a plug through which the detonator was inserted. The grenade was filled and plugged from the side. 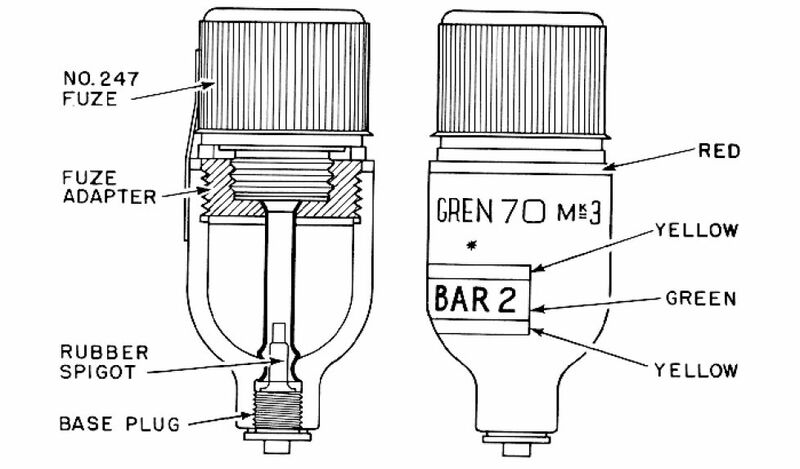 Both base plug and filler plug are similar as used on the No.69. The Mk3 version had some small differences to the Mk2 type. 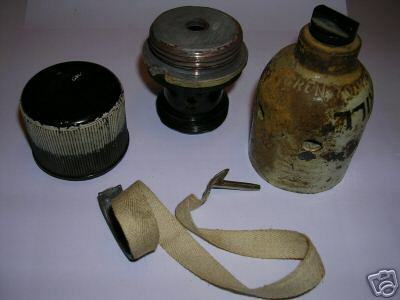 There was no filling plug on the side, and the fuze adapter was made of zinc-alloy. The one shown below is a drill version.